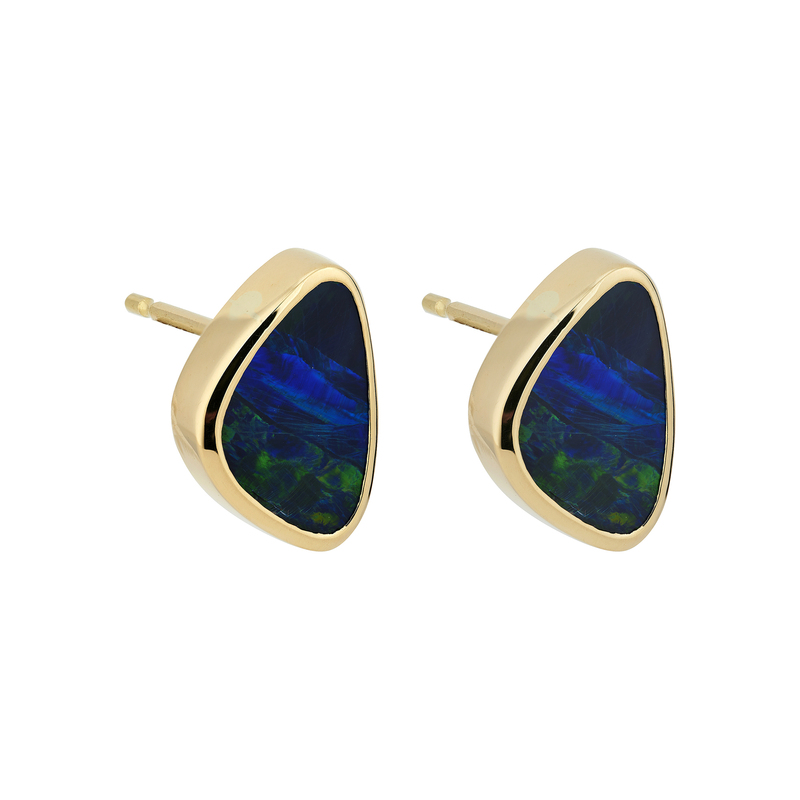 Stunning stud earrings set with a pair of free-form Opal doublets in 18ct yellow gold. 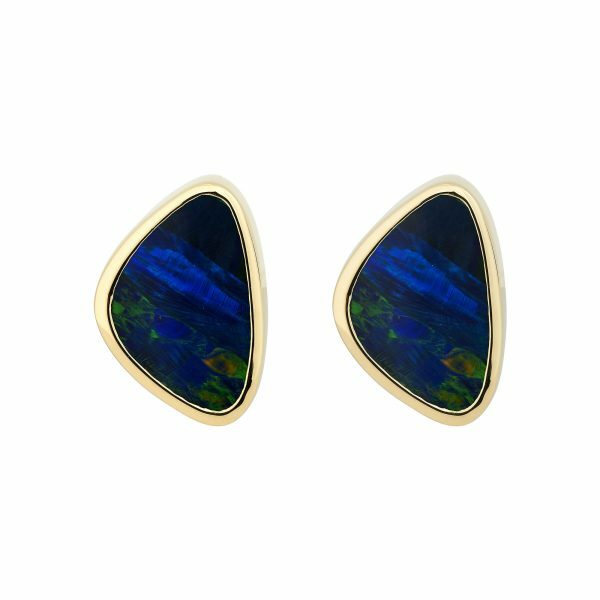 The studs are for pierced ears only. If these earrings are not in stock or you require a different metal or finish please contact us – we can make a pair to order in 6 weeks.